This statement comes on the heels of extensive actions over the planned legislation, involving some half a dozen protests against it including Friday’s withdrawal of labour; as well as the large gathering on the Cabinet Grounds this evening in support of the initiative. In addition, Facebook pages/groups as well as online petitions have been formed on both sides, with those both in favour and against the proposal seeking to make their voices heard. The Government has already confirmed that buses will not be running on Monday morning, and also advised that “there will likely be a disruption of public services” on Monday, adding that the “public is encouraged to make alternative arrangements wherever possible. 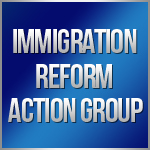 The statement from IRAG said, “We call on the Government to withdraw the proposed Amendment to the Immigration Act 2016 otherwise known as ‘Pathways to Status’ and engage in comprehensive consultation with all stakeholders to develop an immigration policy that advances and protects the rights of Bermudians and provides a responsible pathway to status. What criteria must be met to receive status? Why aren’t quotas being established as is the norm in other countries? Why can’t those who have strong family ties be given first priority? Why can’t all stakeholders be involved in this process? “We believe a comprehensive approach to immigration reform involving all stakeholders will provide the international investment community assurance that Bermuda has a stable immigration regime such that should governments change, the policy will remain intact. I’m just going to answer the headline. Whether the Existing Pathways to Success is Tabled and successful under the present O.B.A. Government or not.When the Peoples Government,the P.L.P. Government gets back into Power ,which will definitely be after the next General Election.We will look closely at the Bill and reconstruct it favorably,and bring it to the people in its best form,and let the electorate vote on it.Democracy will be served,totally.No Problem.Peace. If these protesters really cared about bringing “all the stakeholders to the table”, they would not be fighting a bill that does exactly that. These people were not protesting when the PLP changed the immigration policies many times with no consultation? When this group says they are protecting “Bermudians”, they are not. Real Bermudians come in all shapes and sizes and walks of life. We are not represented by this group. I hope the government stays strong and passes this bill. Do the right thing, Bermuda. I wish the OBA would make things easier and just consult people before they made decisions. gentrification : the process of renewal and rebuilding accompanying the influx of middle-class or affluent people into deteriorating areas that often displaces poorer residents. DISSOLVE PARLIAMENT AND LET’S GO TO THE POLLS!